On May 6th 2015, The SmarterTravel.com cited Hoi An as the only one in Vietnam and one of ten best cities to visit in Asia. 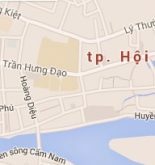 So you are tending to note down name of Hoi An in your travel list. The first thing you need to know is how to get to Hoi An. Go to Hoi An by bus is the most convenient. Most of foreign tourists come to Vietnam by plane. Though the closest airport to Hoi An is Da Nang, there is limited international flights. Therefore, the first Vietnamese place most travelers step on are Tan Son Nhat (Ho Chi Minh City) or Noi Bai (Hanoi City), the international airports of Vietnam. From there, visitors reach Da Nang after one-hour flight. The cost of flight depends on the Airline brands. Normally, Vietnam Airline offers flight with higher price. Viet Jetair and Jetstar are cheaper options in case you are price-concerning. Flying to Da Nang is the fastest way to get to Hoi An for over one hour on airplane. However, you can not see any thing from the altitude of over 3000 meter. The airport taxi can cost you about over $10-15 to Hoi An for 5-seat car. You can search for some website to book taxi before landing at Da Nang airport. There are a plenty of taxis with a meter outside of the airport. In order to saving your bucks, you should haggle over the fixed price rather than accept the fare by meter. The fixed fee is approximately $13 at most. You are recommended to call some reliable taxi brands like VinaSun, Mai Linh. To get Hoi An at the lowest cost, the option is taking the bus. However, the bus station is not close to the airport, it can take you more than half an hour to walk there at 33 Dien Bien Phu, Thanh Khe District. City bus no 1 runs every one hour from Da Nang to Hoi An and costs 25000 VND for the one way ticket. Learn more: How to get from Da Nang to Hoi An? Another way to get to Hoi An from Da Nang, which is suitable for adventure lover is motor biking. You can hire motorbike from some website and receive motor bike at the airport at price of $5-8 for each motor per day. 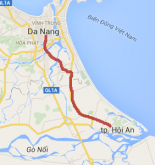 From Da Nang, you can ride to Hoi An in two way. You can go to the south on High way 1 about 27 km to Vinh Dien Road, then turn left for about 10 km. The other way is about 30km from the center of Da Nang City through Han River Bridge to Da Nang – Hoi An provincial Road. For the ones who want to enjoy the picturesque landscape on your way, train can be an ideal option. Traveling by train is safe in Vietnam, though there is no railway station in Hoi An. Most tourists have to stop at Da Nang or Tam Ky (Quang Ngai) railway station before getting to the ancient town. It is easy to catch a train from Hanoi or Ho Chi Minh City to Da Nang since most of travel agencies or hotels can book a ticket for you in advance or you can do it by yourself. It takes about 15hours from Hanoi and 17 hours from Ho Chi Minh City then it is long enough for you to see Vietnam at ground level. If you start at Hanoi, it would be lucky because the most magical part of the journey is the world-class scenic section between Hue and Da Nang. Your train runs along the East Sea, snaking from the cliff to paddy fields, then heads through green mountains via Hai Van Pass to Da Nang. Besides, after the renovation of Vietnam Railway System, the train is now air-conditioned, safe, comfortable and inexpensive with about $45 for the high class seat from Hanoi and $50 from Ho Chi Minh City. From Da Nang, travelers can get to Hoi An by taxi, bus or bike like starting by airplane. 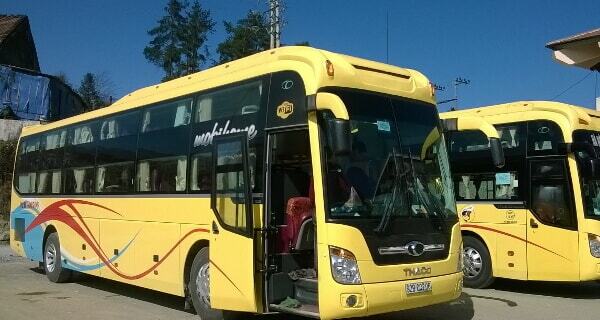 It would be an unforgettable experience when catching a coach from Hanoi or Ho Chi Minh City to Hoi An. The credit point of this mean of transportation is you do not have to transfer to other one. Travelers can enjoy from the breathtaking landscape of rural area to busy cities and the real life of Vietnamese people. The coach will stop on the 17-hour journey from Hanoi or Ho Chi Minh City to Hoi An for taking a rest and it could be your chance to experience your trip in other province. You can have your travel agency to book a ticket for you and it can cost you about $20 from Hanoi. From Ho Chi Minh, it is a bit more than that. On coach, you can sit, or sleep on bed-seat with blanket. There is small TV on the coach so that you can entertain or kill your time while waiting to Hoi An. 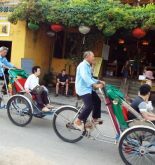 Tourists have a plenty of choices for getting to Hoi An. If you choose a straight way from your place to Hoi An, it would take less time and cost you less. However, most of travelers take the advantage to see more sightseeing along to the S-line shaped country. From Hanoi, foreigners may be interested in go through Hue, Da Nang before getting to Hoi An. From Ho Chi Minh City, it is advisable to enjoy the one of the most beautiful beach s of the world, Nha Trang before reaching Hoi An for get the insight of traditional atmosphere in ancient town. Hope you will find your best way to Hoi An. The ancient town is ready for you to explore!